Mr. Rahul Rai Gupta, CEO, and Founder of Secret Watch Detectives Pvt Ltd is a registered private Investigator with more than a decade of rich experience in solving many complicated cases across India and other countries. His expertise in the investigation has often been hailed by major players in the industry and he has recently been awarded a special recognition of his profession excellence in the field of Detectives & Under Cover Investigations. The award was presented at the 3rd National Conference of CAPSI & APDI at Bengaluru, India. CEO Mr. Rahul Rai Gupta has also been awarded "Young Investigation Entrepreneur of the Year - 2014" on 12th December, at 9th Security Skills & Leadership Summit -2014 by Minister of State, Ministry of Home Affairs Sh. Haribhai P. Chaudhary. Also, Mr. Rahul Rai Gupta is a founder member & executive member of the National Governing Council at APDI. He specializes in an array of Investigative services across Personal Investigation, Corporate Investigation, Surveillance and Other Investigations that include Pre-Matrimonial Cases, Post-Matrimonial Cases, Pre-Employment Verification, Post–Employment Verification, Servant Verification, Love Affairs, Sting Operations and many more. Mr. Gupta has recently been awarded a special recognition of his profession excellence in the field of Detectives & Under Cover Investigations. 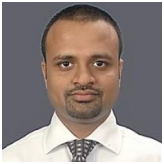 Mr. Rahul Rai Gupta is also a member of World Association of Detectives and council of International Investigators. He has worked with many established clients like BHEL, ACC, Cadbury, GIVO, C&S, Jaypee Group, ONIDA, Mother Diary, RELAXO, SANSUI and many more. He is also known as the Secretary and Founder Member of National Level of Association of Private Detectives & Investigators, India and Founder Member of Central Association of Private Security Industry. Bhashna Gupta, co-founder of Secret Watch Detectives Pvt Ltd, a double M.A. Degree holder in Hindi & English. 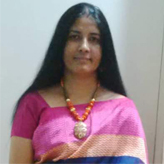 She has a rich experience of 17 years in working in writing, editing and proof reading with different major media newspapers like Punjab Kesari, Nav Bharat Times, Bhaskar, Grahshobha and Sarita etc. Bhashna Gupta has been working in translation, transcription and sub-titling with Indian & foreigner companies for last four years. She advocates education for women. She entrusted Devamata with the implementation of her dream— Mission, a monastic order for women was founded in the honor of Smt. Arya Devi (Bhashna Gupta’s Mother. Provide some quality language solutions by her legacy.